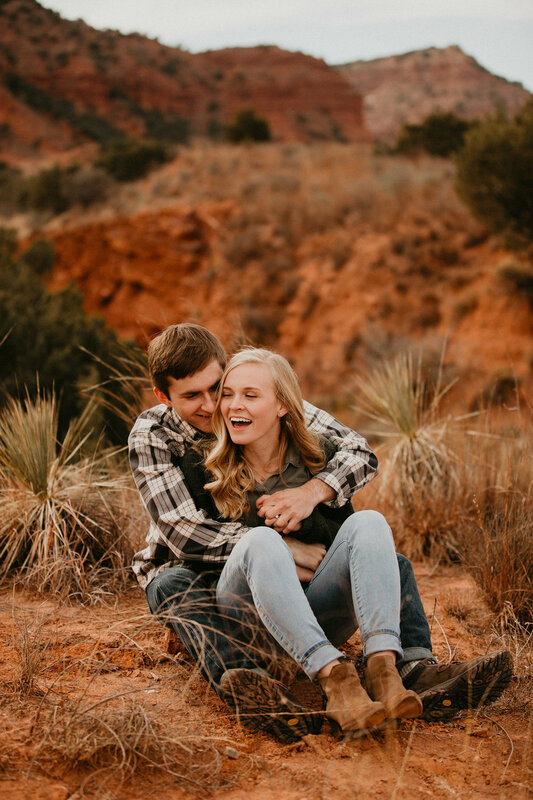 Travel is the way to my heart, so when Laura reached out to me for an adventure engagement session at Caprock Canyon, we were over the moon excited! There is something magical about traveling somewhere new & bonding with new people! It was a pretty chilly day, full of lots of laughter + cuddling. We ran into some bison, crept around campsites, & ran all around the canyon to keep up warm! I love the orange turned red color of the canyon as the sunset, and Laura's dress was the perfect contrast to the tones. A new challenge for me was photographing Laura & Ryan with all this height and depth around them - something I've only done once at in Yosemite! Now, I'm hooked on anything that will resemble rolling hills or mountains, or hey - maybe canyons! So here's my suggestion, let's use this travel bug that's in you to go somewhere stellar while we are young ----> let's share your story & adventure together!